Forget about using spreadsheets to handle the daily tasks of work and life! We’ve tracked down more than 15 apps that tackle something you might be using a spreadsheet for today — and make it easier, faster, or just plain more fun. Get ready to discover how to replace the cumbersome, tedious spreadsheets you’re currently using to visualize business data, track work expenses, and manage the books. 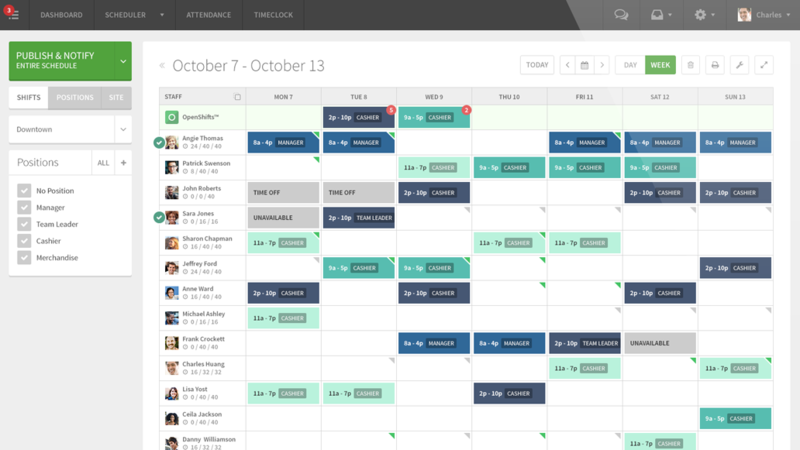 You’ll also find better ways to track influencer outreach, manage your projects,, and schedule your employees. When you get home and unwind, do you really want to open up a spreadsheet? Here you’ll find apps to manage your budget, run your baby due-date pool, do carpentry math, and divide roommate costs fairly. And you’ve got to eat, right? Track your calories and nutrients — heck, plan your entire family’s meals! Get stronger. Establish good habits. Inventory your worldly possessions. And when you’re done with all of that, get out on a roadtrip. Because there’s a big world out there for you to experience. And it probably doesn’t have to involve spreadsheets. Setting up a spreadsheet to track household expenses or manage your personal budget is a common practice. But it’s 2016. 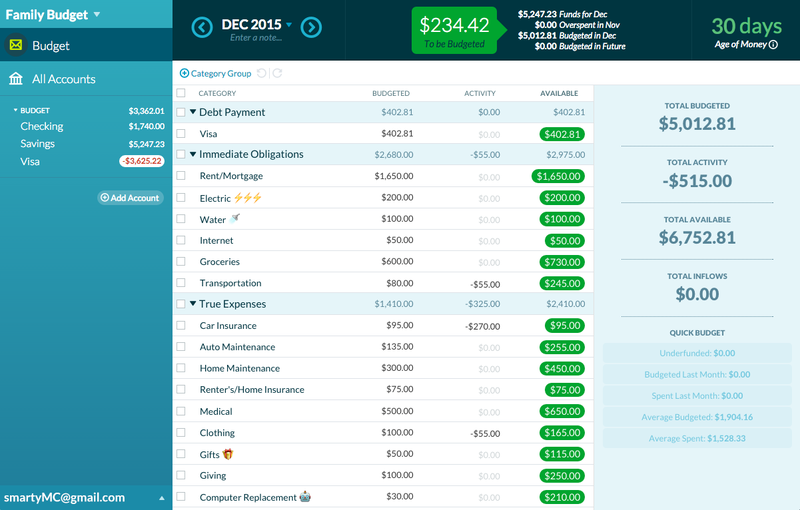 Hasn’t someone come up with a better way to help you stay on top of your finances by now? As a matter of fact, someone has. The aptly named app You Need a Budget has banished the pain of setting up an elaborate spreadsheet — and with the latest release, which includes automatic importing, having to enter individual transactions has been done away with, too. @rosadona it's scary but good to know where your money is going. 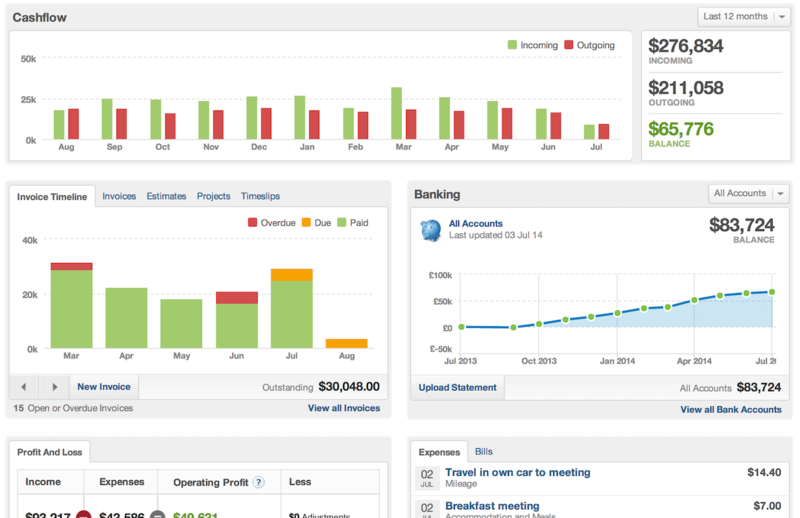 I use @ynab though & not a spreadsheet. I love it! YNAB offers a free 34-day trial; after that it’s $5/month or $50/year. If you’re using spreadsheets to track key business metrics, here’s a question for you: How long does it take you to extract meaningful trends from your data? If the answer is “too long,” then you’re in the right place, especially if you (or the folks you report to) prefer graphs and charts they can take in at a glance. 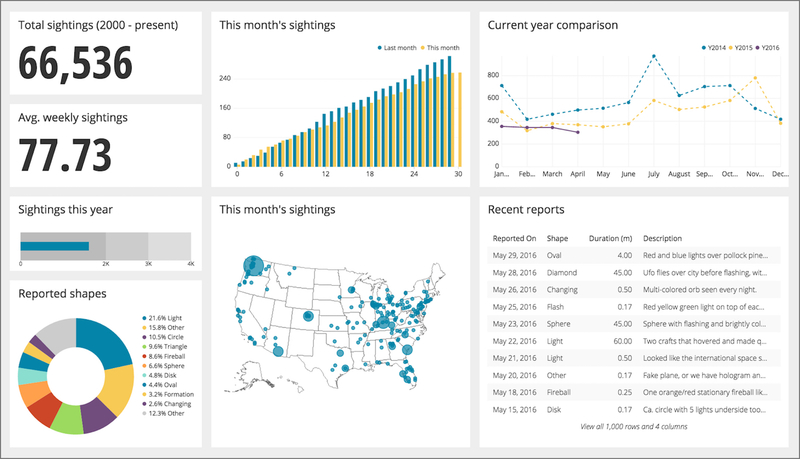 Chartio can give you a whole new way to look at your data. “Our customers tell us they no longer have to spend up to 30 hours a week performing routine analysis and manually updating spreadsheets to find valuable insights,” says Chartio’s Sasha Blumenfeld. On top of that, some of the skills that help you extract value from spreadsheets and large data sets can take a while to learn. But what if you don’t have time to pick up a new skill set? Chartio offers custom all-inclusive plans. Contact their sales team to learn more. If you’re relatively early in your career, here’s a look into days gone by: There was a time when submitting business expenses at work meant individually Scotch-taping receipts onto pieces of paper. Of course, you’d want to photocopy each piece of paper first, just in case. And though it seems hard to believe today, a handwritten expense form would often accompany those receipts. Upgrading to a spreadsheet helped….a little. If you’re still operating under that paradigm, then you’re also familiar with the dread that accompanies the whole process. Fortunately, that’s about to be a thing of the past. As someone who still remembers the Scotch tape days, I’ve been pleasantly surprised by the good cheer that characterizes expense tracking at Redbooth. With offices in the U.S. and Spain, our team does a lot of traveling, and that means tracking expenses. And thanks to Expensify, people don’t mind a bit. It’s no wonder that they were named one of Fast Company’s Most Innovative Companies. In addition to the features you might expect from an expense-tracking app — taking photos of receipts, reading them automatically, and more — Expensify can also reimburse employees via Bitcoin, supports more than 160 currencies, and builds your company’s approval rules right into the workflow. Expensify offers a free 30-day trial; after that you can choose from plans that are $5/month or $9/month per active user. Do freelancers and small agencies really still track their invoices in a spreadsheet and send them out manually? Or…wait, is that not how you’re supposed to do it? 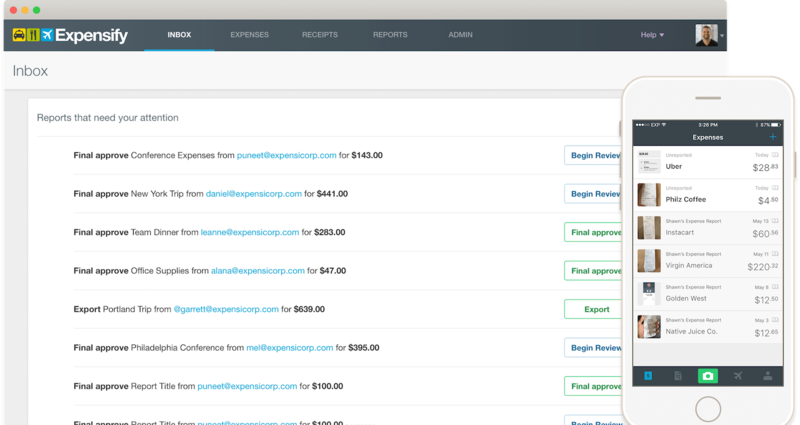 If you’re still tracking your invoices in a spreadsheet and sending them out manually as PDFs (or even Word docs) — not to mention trying to manage your bookkeeping with the same spreadsheet — things are about to get a whole lot better. 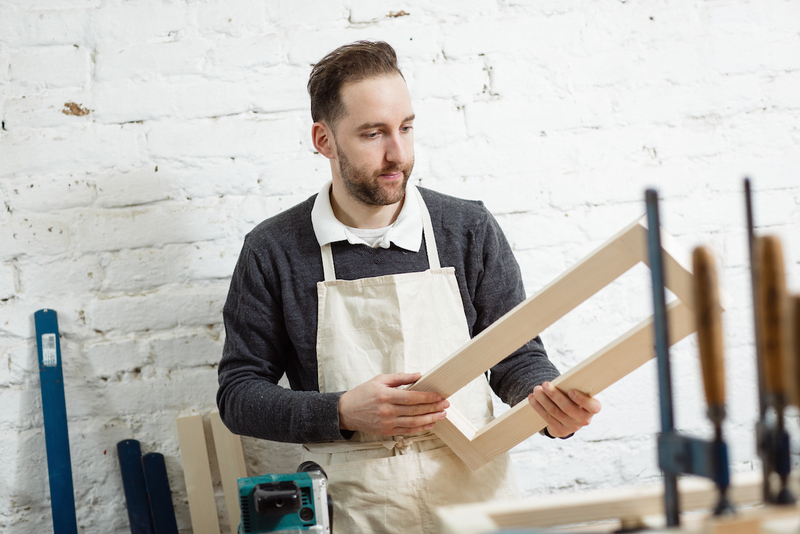 There’s an impressive do-it-yourself ethos among freelancers and agencies. In many ways, this translates into good things: personalized service, creativity, resourcefulness. But the tricky part is being smart about when to apply that ethos…and when to choose a ready-made system. Emily Coltman, FCA, is FreeAgent’s chief accountant. “The fundamental risk of using spreadsheets to try and stay on top of your small business bookkeeping is that you have to manage everything yourself,” she says. FreeAgent offers a free 30-day trial; then it’s $12/month for six months for U.S. businesses, then $24/month after that. When you’re expecting, you should expect a lot of things…including questions about your due date. People love to make their best predictions and put their intuition to the test. Sure, you could use a spreadsheet to track guesses for the baby’s due date, weight, and length. Sounds…fun? Fortunately, there’s a charming app for that. 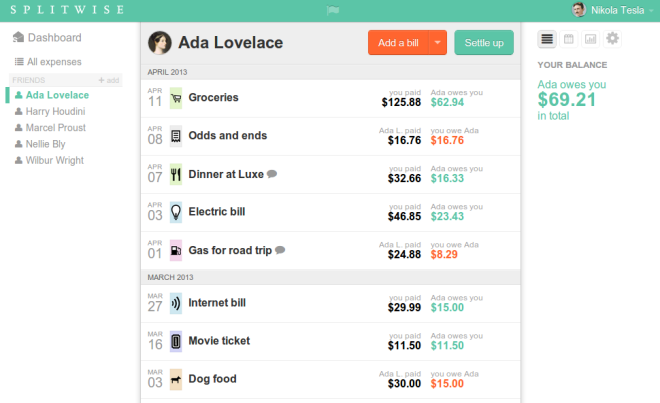 Baby Bookie is the spreadsheet-free way to organize the whole thing. They even have a special weighted scoring system to figure out the winner. 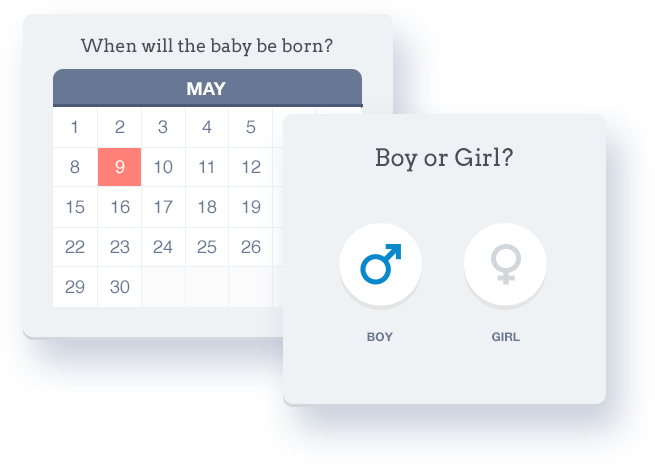 “Baby Bookie really takes the baby pool from the spreadsheet to the next level — not just with an easy user experience to make your guess, but by increasing the fun visibility element by calling out the earliest and latest guesses with ‘cynic’ and ‘dreamer’ labels,” says Ben Eckerson, the product manager. Baby Bookie’s web app is free. If you’re not a fan of carpentry, feel free to skip ahead. But if this is your hobby — or you’d like it to be — then keep reading. [T]he feeling that results from putting the finishing piece on a massive new deck, or the final knob on a drawer for a kitchen we’ve re-done floor to ceiling is one I never experienced at my desk. Maybe don’t quit your day job just yet — but it’s probably fair to say that the last thing you’re craving is more time at your desk with a spreadsheet. 2 Dimension, by Kittidech Vongsak, simplifies the process of creating a cutting plan. It helps you be smart about how you utilize your materials and plan ahead to minimize waste. We’ve even got a weekend woodworker on the Redbooth team who uses 2 Dimension to save time and use materials strategically. Measure twice, cut once, and stay spreadsheet-free. 2 Dimension is available for iPhone and iPad for $2.99. Here at Redbooth, we were surprised to discover how many people still use spreadsheets to plan and track their projects. And we were flabbergasted to learn that some teams are still building out Gantt charts manually in spreadsheets by shading in the cells. Of course, the problem is that setting it up can eat up a lot of time — and then keeping it updated requires a rarely-seen level of discipline. We’d much rather you spent your time on more exciting things — like signing new clients and doing amazing work. That’s why we designed Redbooth to make it easy for you and your team to track and manage your projects. And Gantt charts? 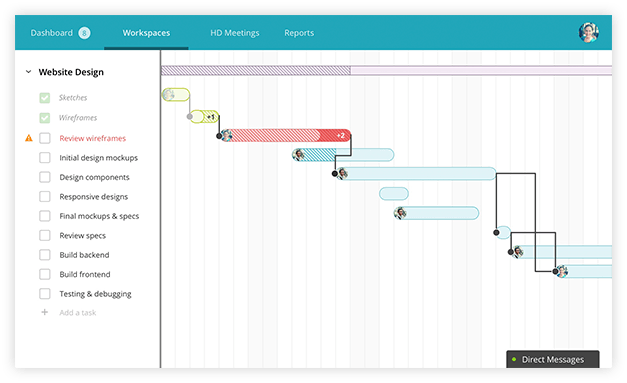 Once you’ve got a workspace set up, it’s simple: Click the button marked “Timeline view.” Instant Gantt chart. Yep. It really is that easy. And you know what? We think your team will agree. Redbooth offers a free 30-day trial. After that, you can choose from $5, $15, or $30/month per user depending on your preferred feature set. Available for web and desktop; iPhone, iPad, and Apple Watch, and Android. In 2015, Under Armour acquired the popular health tracking app MyFitnessPal. With more 80 million registered users, the app had proven that the days of having to track diet in a spreadsheet were over. Why track what you eat? It’s a powerful tool for engineering weight loss — or deliberately bulking up. For years, bodybuilders have tracked their macros, or macronutrients, in spreadsheets to ensure that they’re taking in the right ratios for progress. Meanwhile, dieters who prefer calorie-counting have set up elaborate spreadsheets. MyFitnessPal includes a database of nutritional information for millions of foods, along with built-in tracking of intake and progress. If a food’s not in the database, you can add it yourself — or use your phone to quickly scan the barcode. For most people, this is all they need to make small — or extraordinary — changes to their diets and their lives. However, for the most keenly data-obsessed who want to take their analysis to a higher level, Quantified Self offers up a variety of unofficial workarounds to extract your MyFitnessPal data. That way you can dig into it for advanced analysis in, yes, a spreadsheet. 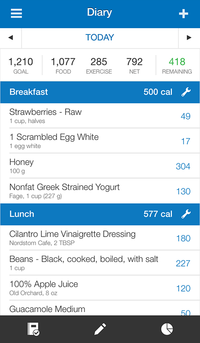 MyFitnessPal is free for a comprehensive basic feature set, or $9.99/month (or $49.99/year) for premium features. If you’re in PR, marketing, or SEO, you might have a giant spreadsheet with a list of all of the folks you’re reaching out to. We’re talking giant — multiple tabs, lots of columns, the works. 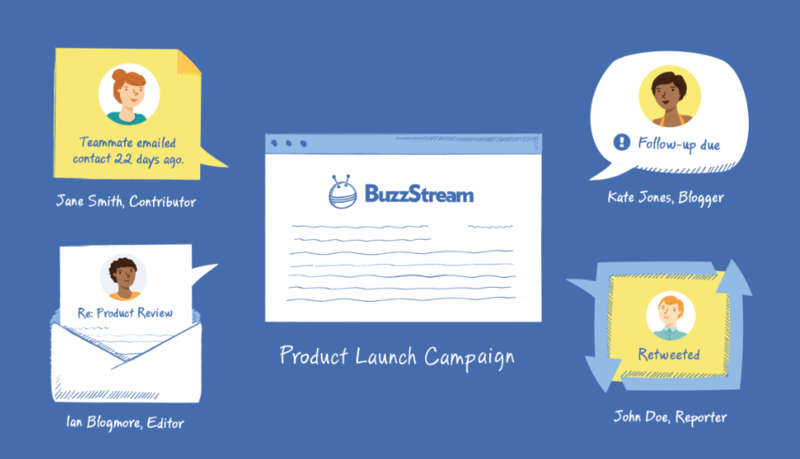 BuzzStream wants to liberate you from that spreadsheet. Essentially, it’s an influencer research platform and a user-friendly database for tracking the interactions that you (or your team) have with potential partners and allies. Creating friendly, customizable email templates is a breeze. BuzzStream even helps you track down contact information. It also comes with built-in SEO features as well, including automatic research on metrics like domain authority, Alexa Rank, and MozRank. In other words, you can say goodbye to endless columns — and hello to your favorite influencers. BuzzStream offers a free 14-day trial. After that, packages start at $24, $99, and $299 a month depending on number of users and desired features. Let’s say you’ve got a staff scheduling spreadsheet set up in Excel, or even a Google Sheet. It’s not the most convenient, but it’s clear and you can see the whole week, which is great. And then someone needs to change their shift. When you’re managing a team, that’s not where you want your time and energy to be going. And you definitely don’t want to have to send out reminders individually in advance. When I Work doesn’t just give you a place to manage your team’s schedule. It also keeps you involved in relevant conversations (you can approve requests for time off and shift trades) and keeps you out of the rest. Think of it: Next Thursday night, you’re not going to have to interrupt your dinner plans to try to check a spreadsheet on your phone and text a forgetful employee who can’t remember if they need to wake up early the next day. As When I Work’s website explains, “Employees text, ‘Do I work on Friday?’ and When I Work responds instantly via text message.” Couldn’t be easier. When I Work offers a free 30-day trial and is available for web and mobile. After that, pricing depends on the size of your team; for a 20-person team, it’s $29/month for employee scheduling, or $55/month to include time and attendance capabilities. Do you have roommates? Then you have shared costs to keep track of — and a big incentive to divide things up fairly: If you don’t, the people you’ve upset are also the people glaring at you over breakfast. 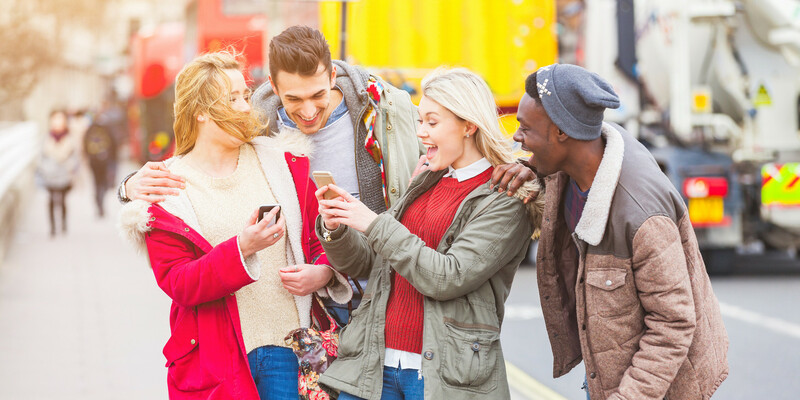 Fortunately, fairness is something of an obsession at Splitwise, an app designed to help you split expenses with friends…and keep them as your friends in the process. Last we checked, that wasn’t something spreadsheets were famous for doing. “We definitely designed Splitwise with ‘our competitor is a spreadsheet’ in mind, even from the earliest days,” says Splitwise CEO Jon Bittner. Don’t miss the “fairness calculators” on the Splitwise website to find out how to couch-surf fairly or figure out how to split the rent in a new apartment. Splitwise is free for web, iPhone and iPad, and Android. If you’re following a serious, progressive weightlifting program, you know how important it is to keep meticulous records. But do you really want to be trying to navigate a spreadsheet app on your phone at the gym? App store reviewers appreciate the interface, which many describe as unusually “clean” — “without any bloat,” “doesn’t get it my way,” “no clutter” That way they can dedicate 100% of their focus to what really matters: lifting heavy weights, safely, more times. The Strong iPhone app, which tracks 4 workouts, is free to download. Optional in-app purchases currently range from .99 to $6.99. Work-life balance isn’t getting any easier. And if you knock it too far out of alignment, you’ll find yourself living on takeout or feeding your family pizza on a regular basis. How can you max out at work and still eat relatively healthy meals? That’s where Plan to Eat comes in. Plan out your meals in advance, have the ingredients automatically added to your grocery list on your phone. “Trying to meal plan with the wrong tools, like spreadsheets, which really isn’t too far from doing it by hand (gasp! ), makes an already challenging task near-impossible,” says Christopher McLaughlin, Plan to Eat’s Brand and Marketing Director. Plan to Eat offers a free 30-day trial. After that, it’s $4.95/month or $39/year. If you’re reading this at home, take a moment and look around at your stuff. From valuable electronics to your collection of action figures, have you ever created an inventory of what you have? Whether you’re doing it to track your valuables for insurance purposes or planning a household move, it’s helpful to have everything categorized in a single database — and spreadsheets can only get you so far. 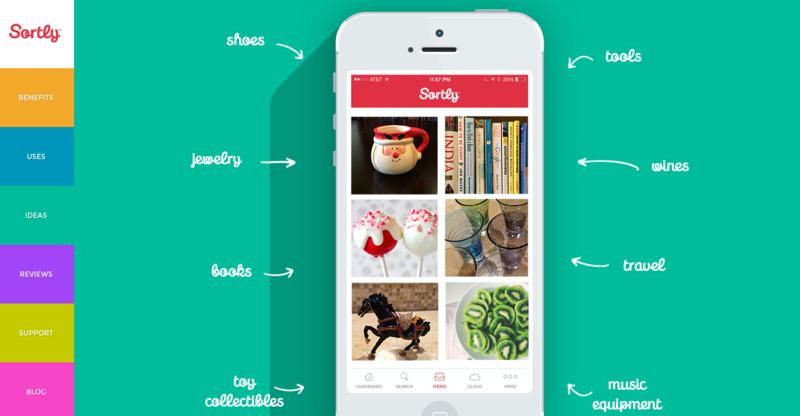 Sortly is free to download for iPhone and iPad. Sortly Premium is $7.99. Part of the satisfaction of tracking your success with a new habit is seeing all of those boxes filled in. 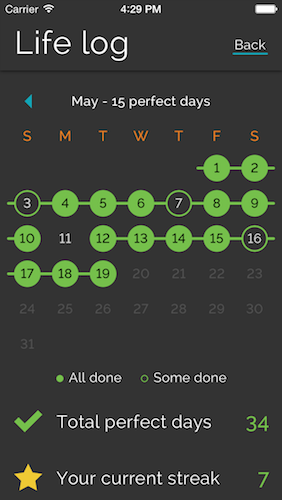 Productive makes it even easier for you to visualize a “streak,” or days in a row where you successfully completed your habit. The user interface gets compliments on ProductHunt as well: “I tend to populate my to-do list in the middle of the night when I can’t sleep,” writes John Proksch-Whaley. Productive is free to download for iPhone (and Apple Watch). You can upgrade Productive for $3.99. Think you’re all set for your next cross-country epic because you have a detailed spreadsheet and Google Maps? Think again. 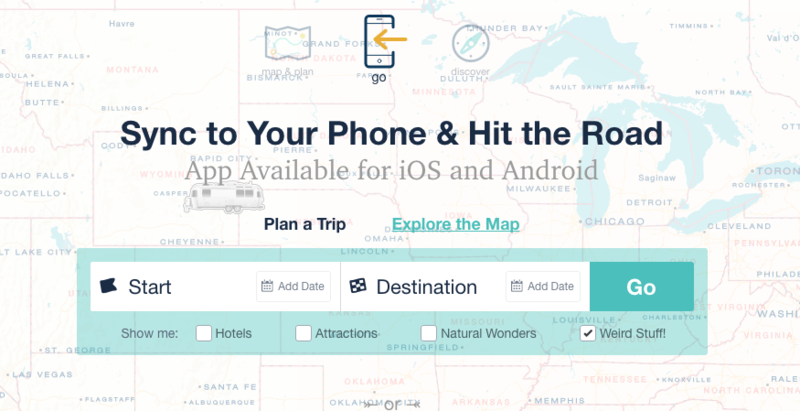 Roadtrippers takes you beyond simply planning out your itinerary. It’s also a discovery source and a way to remember favorite spots. And if you’re not quite ready to hit the road, you can get inspired with one of their detailed trip guides. “People are still using spreadsheets to plan their trips, which is an ironic approach for anyone looking to take plans with them. Who wants to zoom into a spreadsheet on their phone! ?” asks Roadtrippers marketing manager Natalie Akers a little incredulously. Roadtrippers is free for web, iPhone (and Apple Watch) and Android. Is there an incredibly valuable app that helped you get out of the spreadsheet habit? We want to know! Tell us about it in the comments.